A perfect app to enjoy Hindi Bhajans as well as Chalisa, Aartis and Mantras in other Indian languages. Our collection of Bhajans, Aartis and Mantras will have a unique soothing and relaxing effect on your mind, soul, and body. Over and above all they are deep in their meaning, if understood - impact the heart! 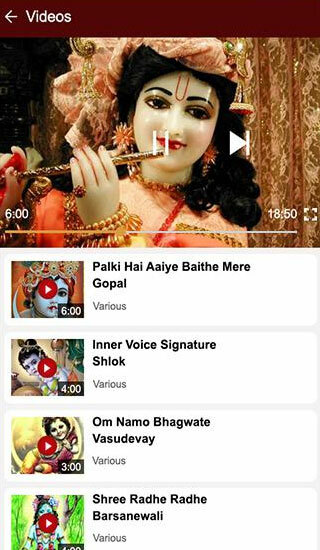 Customized Playlist listen to Bhajans in the order you prefer. Mark your favorite audios for easy access. Devotional Songs available in Hindi & diff Indian languages. View the lyrics of your favorite Bhajans, verse-by-verse. Continuous Play option even in the background mode. The app has perfect audio quality and photo gallery. We wanted to build a simple yet intuitive “Free” app for our parents who recite some of the shlokas, aartis and bhajans as a prayer every morning. They liked it so we thought of putting it out on the app store. This is a humble attempt to create a quick reference and memorization aid for the verses of some popular pujas and Hindi bhajans. People sing or chant these Bhajans to memorize and remember their Almighty be it Hanumanji, Shri Krishna, Shri Rama, Ganpati Ganesh, Sai Baba or Maa Durga. 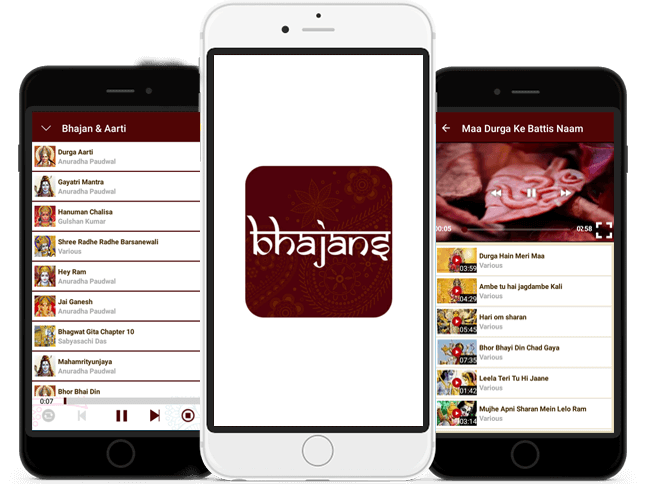 Download the ‘2000 Hindi Bhajan App’ today and listen to the beautiful collection of Hindi Bhajans for any occasion like Holi, Diwali, Dussehra or other important festivals. Hanuman Chalisa Audio App with Sunderkand in Hindi. Collection of popular bhajans like Sankat Mochan, Bajrang Baan, Hanuman Aarti, Hanuman Vandana. Shiva Bhajan Audio App and Bholenath Bhakti Song. 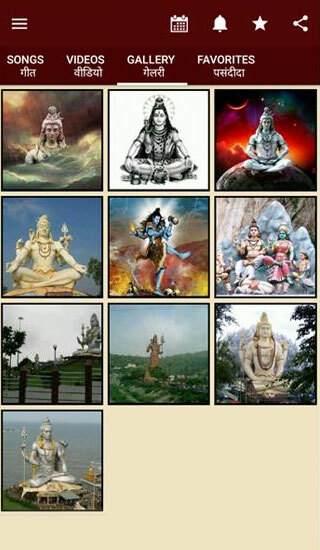 Shivaratri Bhajans, Shiva Aarti, Shiv Stotram, Shiv Tandav, Om Namah Shivaya, Shiva Maha Mantra. 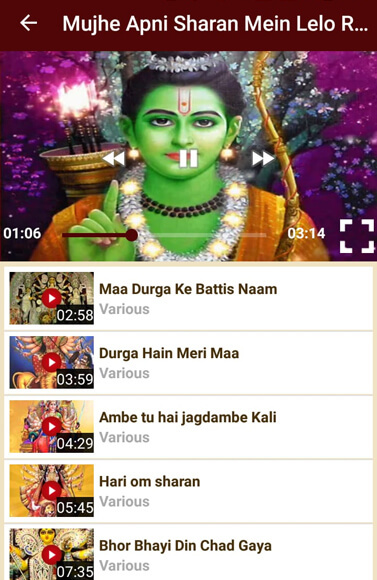 Lord Krishna Hindi Bhajan App with Bhagavad Gita. Radha Krishan Bhajans, Hare Rama Hare Krishna, Radhe Krishna Radhe Shyam, Bhajo Radhe Govind. 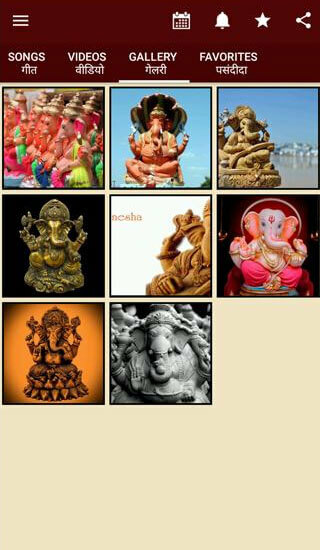 Ganpati Ganesh Bhajan App & Sri Ganesh Mantras. Ganpati Bappa Morya. Jai Ganesh Jai Ganesh, Bappa Song, Songs for Ganesh Chathurthi. Shirdi Sai Baba Aarti Songs & Mantra Audio App. Om Namo Sainathaya, Om Sai Namo Namaha, Sai Ram Sai Ram, Om Shri Sai Nathay Namah. Lord Rama Bhajans & Shri Rama Raksha Stotra App. Raghupati Raghav Raja, Mangal Bhavan, Rama Bhakti Songs, Shri Rama Navami Songs. Maa Durga Chalisa & Durga Aarti & Navratri Songs. 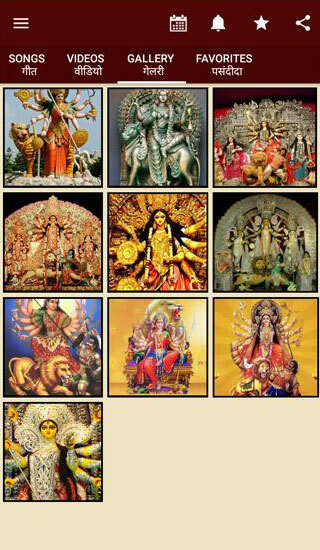 Durga Chalisa, Jai Maa Durga Shakti Songs, Devi Bhajans, Jai Jagdamba, Navratri special Bhajans. Melodious, soothing, traditional & popular Bhajans for any occasion. It is an excellent app which has a good interface. A great compilation of Bhajans. 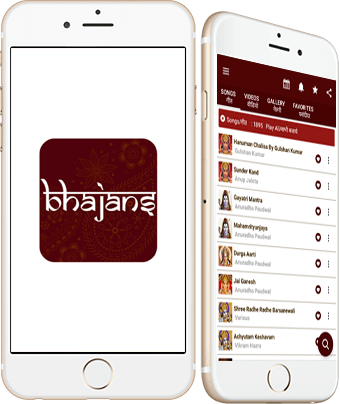 The app is a phenomenal collection of Bhajans and Aartis perfect for everyday puja!